How Far is V.R.Sai Vijaya? 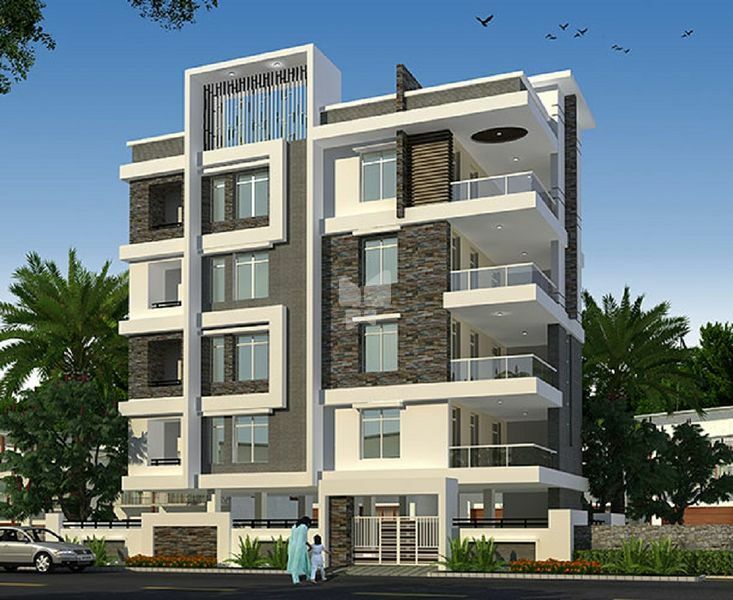 Sai Vijaya is one of the popular residential development in Adarsh Nagar by V.R. Associate. 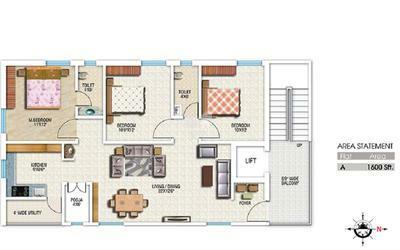 It is a 4floor apartment with all basic amenities with it. 2’-0”x2’-0” vitrified tiles flooring in flat, Granite flooring for corridors & staircase, Cement classic parking tiles for car parking & drive ways. Brick work in cement mortar with sponge finish outside and luppam finish inside. Exterior painting with luppam & texture finish, interior painting with premium emulsion paints. Cooking platform with black granite with 2’ height tiles dado and steel sink. All doors with teak wood frame. Main door with teak wood polished shutter and all other doors with flush shutters and brass fittings with branded locks. Ceramic tiles flooring and matching dado with ceramic tiles with border up to 7’ high shower E.W.C hot and cold water mixer, towel rod, soap dish etc. All fixtures in Jaquar, Cera or equivalent. One 4 passenger standard lift is provided. Black granite tiles cladding for lift walls. Intercom system for all flats. concealed copper Finolex or equivalent wiring, white modular switches of crabtree or anchor make, with metal boxes electrification with adequate light fan points and providing sockets of standard make, for fridge, washing machine, mixer and geyser, telephone point, master antenna point and A.C. points for all bedrooms and halls. Standard water proofing for terrace flooring. Over head tank with partitions of GHMC protected water and bore well water. Anti termite treatment for foundations. SS railing of 202 guage for staircase. Good landscaping as per the designer wherever required. The firm V.R.Associates was established in the year 1985. It is actively functioning in the field of planning, designing execution and construction of civil projects like Residences, Apartments, Commercial complexes, Institutional & Industrial structures for the past 25 years. Many prestigious projects were executed under the banner of V.R.Associates, which is headed by Er.G.V.R.Ravi, a consulting Architect and Engineer. We deliver the highest level of service excellence to every client every day, while making our firm a great place to work. Our construction offers a variety of delivery methodologies tailored to fit the unique needs and requirements of each client. Recently in the year 2011, we have launched a new limited company by name "VR Infraventures Pvt Ltd" to widen our horizons in the Infrastructure industry also along with our regular Construction and Planning activities. Therefore, we have joined these two firms together under one roof and given birth to the VR GROUP.